Pelican Publishing Company, 9781455619931, 288pp. "From a discarded armoire to a distorted folktale, if it's old I'm hooked. The lure of an untold story has drawn me into abandoned cemeteries, derelict slave cabins, and down into the hull of a sinking Lafitte skiff. A fascination with the past continues to impact my life." The fog-shrouded islands of Cape Cod, Nantucket, and Martha's Vineyard are filled with distinctly New England apparitions steeped in the staunch sea-faring traditions of their earthly home. As author Barbara Sillery states, "they are there whether you believe or not." Dip into this ghostly guide for a tour of more than twenty historical sites along with stories of their supernatural inhabitants. In each instance, skepticism abounds and the question remains-is there really a ghost? Each chapter provides lagniappe-a bit of extra information as a gift-in the form of fascinating facts related to the ghostly residents. 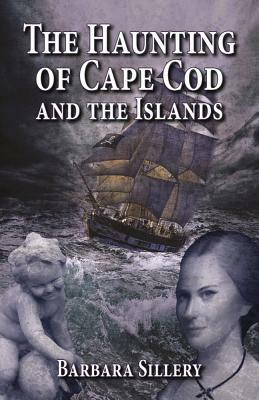 Sillery provides historical details that might explain why Seth haunts his former church in Nantucket. She delves into the actual history of the missing mansion of Falmouth and the Beebes family, offering an illuminating narrative of truly eccentric residents. From the Highfield Theater to the Sandwich Glass Museum, from the Crocker Tavern House to the Simmons Homestead Inn in Hyannis Port, from the Edward Gorey House to the Penniman House, the author provides an entertaining tour of the best-known haunts of the area.